You do it all the time when working with paper. For measuring, folding, cutting and scoring you often use pencil markings. 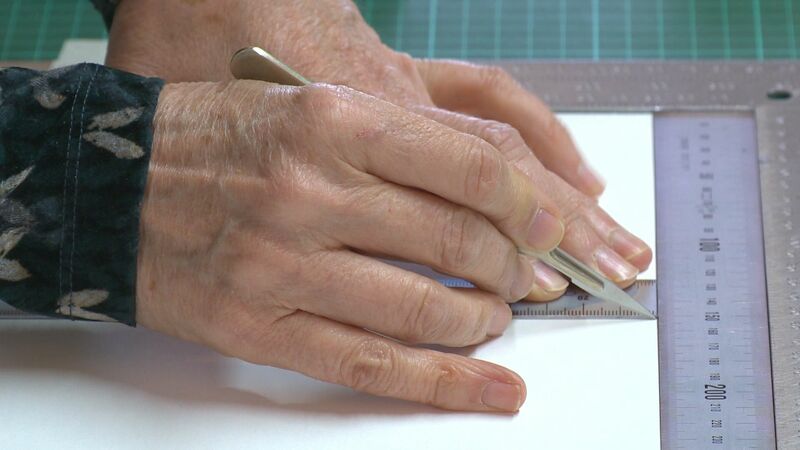 However, because of the thickness of the pencil line, the inaccurate placing of the ruler or incorrect positioning of the craft knife, you very seldom get a perfect result. 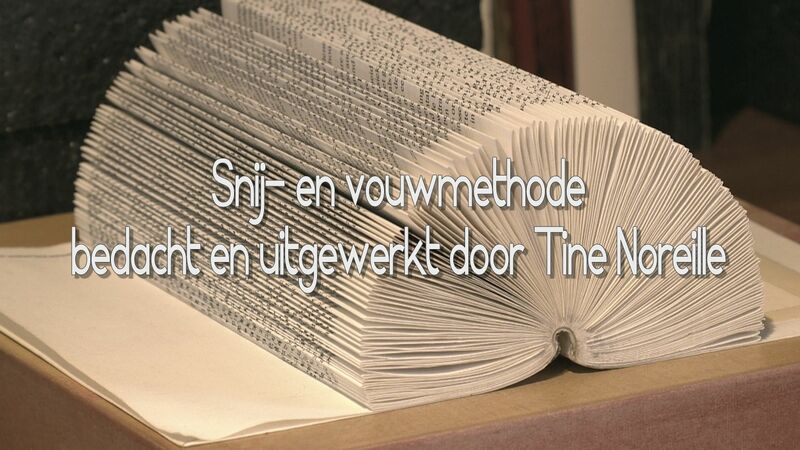 If you want neatly finished books, machine trimming is often needed afterwards. 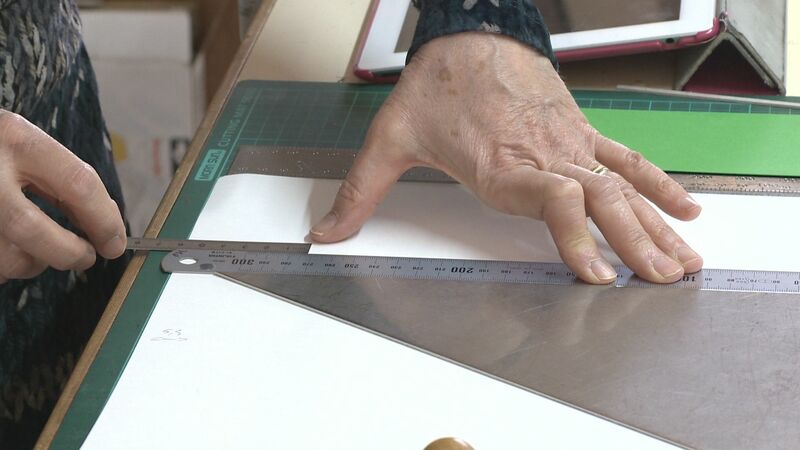 With this cutting and folding method you skip the pencil phase, you measure and cut at the same time, very quickly and as perfect as can be done by hand. Quicker, more accurate and easier! No more trimming! Perfect for non-adhesive bindings. Those are but a few of many possibilities. Once you have mastered the technique you are bound to find other handy and useful possibilities. To anyone working with paper, this will be of use: calligrapher, printmaker, photographer or simply people who like paper in all its forms. This method is easy to learn, logical, and once you get the hang of it you will always want to do it this way. You can use the DVD as you would use a book, there is an overall index comprising twelve chapters. You can navigate at will between them or you can watch the movie from the beginning to the end by clicking on the first item. There are total recordings so that you can clearly see the placement of the slats and the angles, close ups for details. Would you also like to learn this cutting method? That is possible! You can still order the DVD, while supplies last.